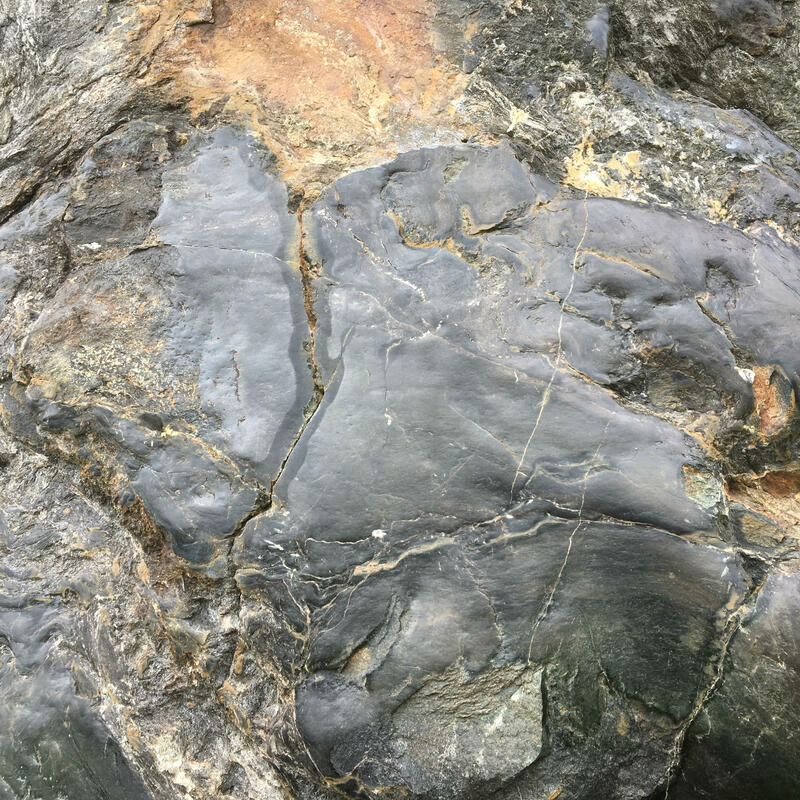 Seen up close, the polished area retains crevices and depressions that have not been worn smooth, an indication that the surface was not scoured by water or blowing sand. 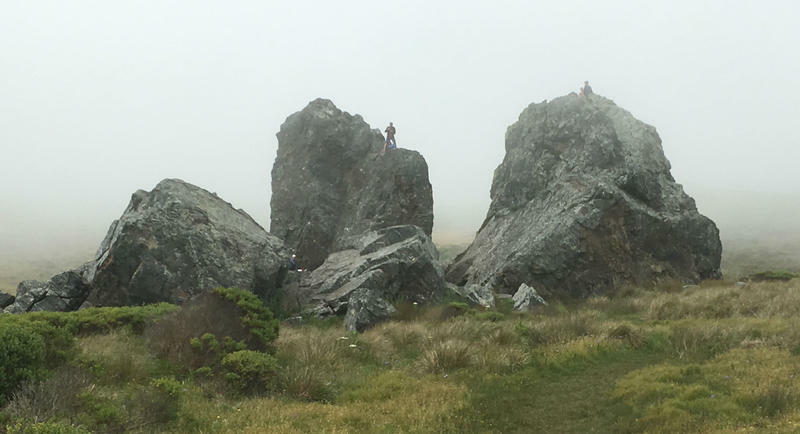 The craggy rocks, just off the popular Bill Kortum Train between Goat Rock and ShellBeach, are also a popular destination for climbers. 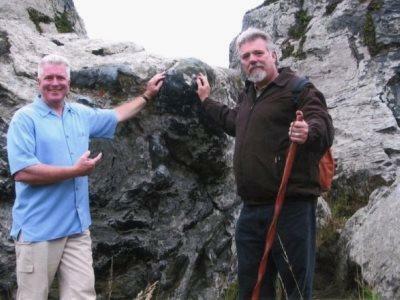 Archeologist Breck Parkmnan (rt) shows the unusual rock surface that has given Mammoth Rock its name to California filmmaker Heull Howser.